This Continuing Nursing Education Activity was Approved for 4.25 contact hours by the Connecticut Nurses' Association, An Accredited Approver by the American Nurses Credentialing Center's Commission on Accreditation. This program has been approved for 4.25 Continuing Education Credit Hours by the National Association of Social Workers, CT and meets the continuing education criteria for CT Social Work Licensure renewal. The workshop "Supporting Children with Autism in School and Beyond Graduation" meets the cultural competence requirement for license renewal. Registration is now open for the Connecticut Association of School-Based Health Centers' annual statewide conference on Friday, May 5, 2017 at the Heritage Hotel and Conference Center in Southbury, CT. Join us as we explore the issues that impact young people, network with colleagues, and advocate for school based health centers. The registration fee includes breakfast, a buffet lunch, and Continuing Education Credits (CEUs). The beautiful Heritage Hotel and Conference Center offers a variety of amenities including a spa, gym, indoor and outdoor saltwater pools, and an onsite restaurant. A block of rooms have been reserved at a special conference rate for an overnight stay at Heritage Hotel! Please mention CT Health Conference when you reserve your room. Dr. Niobe Way is Professor of Applied Psychology at New York University. She is a nationally recognized leader in the field of adolescent development and has been studying the social and emotional development of boys and girls for over two decades. Niobe Way is a reknowned author of many books, including Everyday Courage: The Lives and Stories of Urban Teenagers and Deep Secrets: Boys' Friendships and the Crisis of Connection. Her work has been featured in the New Yorker, the New York Times, on National Public Radio, and the Today Show. In her keynote presentation, Dr. Way will describe her findings regarding adolescent boys' desire for friendships and the crisis of connection they face as they enter manhood. She will address the roots of this crisis and solutions to address the problem. Dr. Way will also include a discussion of the crisis of connection impacting adolescent girls. This session will provide an overview of the evaluation and care of pediatric GI problems presenting in children and adolescents, including Celiac disease and H. Pylori disease. Dr. Porto will present case presentations to foster discussion on symptoms, management, and evaluation of diseases affecting school-age children. Participants will be able to differentiate between the three types of gluten-related disorders that may present in children, recognize the symptoms and outline treatment plans for children with H. Pylori, and describe the different GI manifestations of allergic diseases. Dr. Porto is a pediatric gastroenterologist and medical director of the Yale Pediatric Celiac Program. Trauma and adverse childhood experiences (ACES) impact many children. Through the use of research and practical examples, participants will understand what trauma is, how to identify it in children, families and systems, and how to support those impacted by trauma in the school setting. Research findings from the New Haven Trauma Coalition will be shared, including the impact on absenteeism, reduced posttraumatic stress symptoms in students, improved teachers’ wellness, and stabilized families. Participants will gain practical strategies to develop trauma-informed schools. Ms. Jewers-Dailley is the Director of the New Haven Trauma Coalition at Clifford Beers Clinic in New Haven, CT.
Health issues contribute to chronic absenteeism. Improving and sustaining good attendance requires the active engagement of district, school, and community partners, and understanding root causes and the impact on learning. This session includes successful strategies for reducing chronic absenteeism through school attendance teams, analyzing data, identifying trends and contributing factors, and ways SBHCs can support families and schools to improve attendance. Ms. Sullivan will present findings from the CT Department of Education. Ms. Peters will describe the New Haven Public School SBHC pilot program -- Healthy Attendance Matters – a program that is proving to be a success in reducing chronic absenteeism. Participants will learn about collaboration between the SBHC, school nurses, and other partners; successes and challenges of the pilot, and tools that will help other school districts/SBHCs replicate the program. This workshop will help SBHCs construct a concussion management policy, develop clinical skills for evaluating concussion injuries, and implement concussion management team building. Participants will gain knowledge of the current science of the injury and best practices for clinical evaluation, including hands-on demonstration of oculomotor and vergence measures, King-Devick testing, and balance measures. Dr. Laugel will facilitate a discussion on guidelines for creating a concussion management policy in the school, and the current CT law regarding “Return to Play” protocols. Dr. Laugel is the medical director and founder of HeadZone Concussion Care in Shelton, CT.
Child trafficking and exploitation is complex, and it is important that professionals in schools understand nuances, casual factors, and potential responses. This interactive workshop will define key t terminology related to human trafficking and commercial sexual exploitation (HT/CSE), articulate the personal and environmental factors that can increase youth’s vulnerability to HT/CSE, recognize common indicators, and describe how to respond and make appropriate referrals to providers that can meet the needs of vulnerable and exploited youth. Ms. Casey is the Director of Prevention for Love 146, an international organization dedicated to ending human trafficking. 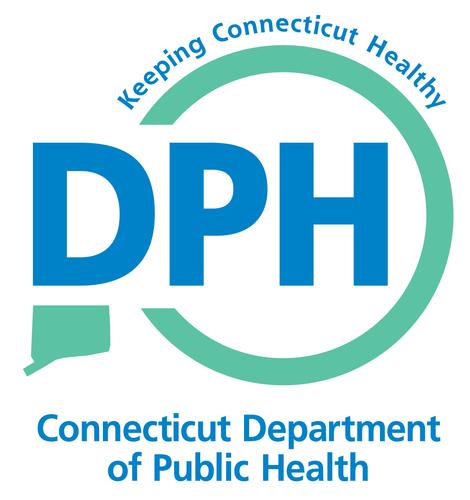 Dr. Bournaki from the CT Department of Public Health Asthma Program will provide an overview of chronic disease burden from asthma in Connecticut’s children and adolescents – an issue seen in every SBHC from elementary to high school. A quality improvement framework will be provided to help SBHCs improve practice, service delivery, and outcomes in children with asthma. Dr. Ayers-LaFave will outline a team-based approach that can be used in an SBHC including easy-to-apply tools to facilitate the improvement process. Dr. Goddard, medical services coordinator of an SBHC program in southeastern CT, will outline the process that was tested at 4 SBHCs to increase influenza vaccinations in children with some severity of asthma. Participants will be provided with concrete examples of putting QI into practice as demonstrated at the Southeastern CT SBHCs. Brianna Lewis, M.Ed, PhD; and Julie Wolf; PhD. Students with Autism Spectrum Disorder (ASD) present with varied profiles of strengths and weaknesses, which present unique learning challenges and opportunities. Participants will gain an in-depth understanding of ASD symptoms and how they manifest in the school setting, related to their individual learning profile and social/emotional development. There are multiple factors to consider when supporting a student and their family with transition planning from high school to adulthood. Participants will learn when to counsel families on seeking further psychological evaluation for their child, and common psychiatric co-morbidities common among adolescents and adults with ASD. Dr. Lewis and Dr. Wolf are licensed clinical psychologists in the Autism Program at the Yale Child Study Center. Lyme disease can have a profound impact on affected persons, including children. This workshop will discuss the medical and mental health aspects of Lyme disease and other tick-borne infections. Dr. Liegner will provide an overview of the diagnosis and treatment of Lyme disease and common tick- borne co-infections. Participants will gain skills to aid in assessing students, identify resources that can be incorporated into the plan of care, and learn to tailor the treatment of the infections to the individual student. Dr. Statlender and Dr. Leventhal will help school based health providers screen students for potential exposure and to identify the emotional, behavioral, and cognitive symptoms associated with tick-borne infections. They will provide information about the impact of these infections on mental health, cognition, and academic performance. The opiate overdoes epidemic sweeping the nation is well known and affects nearly everyone. In CT from 2009-2015, there were over 2,500 accidental and unintentional opioid involved deaths in 152 of the state’s 169 towns. CT has made great strides in its attempt to address the issue. This workshop will address substance use, the changing landscape, stigma, harm reduction, and overdose prevention and response. Participants will learn about the history of naloxone programs and how to recognize and respond to an overdose -- including how to administer Narcan. Participants will gain the latest information, increase their ability to assess the overdose risk of their clients, and apply the principles of harm reduction to their practice.